*You will need your library card number if you are accessing the databases outside the library. [Enter the number (with no spaces) when prompted]. Have your library card number handy. Start with what you know: Six_Generation_Chart or Family_Lineage_Worksheet and a Genealogy Search Checklist so you can double check your search inquiries. Hit a roadblock? 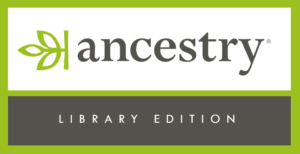 Make an appointment to visit one of our libraries for help with Ancestry® Library Edition or visit our South Carolina Room if you are looking to access records or history from the state. Information for both the United States and the United Kingdom is included. It contains census, vital, church, court, and immigration records. Also contains records from Canada, Europe, Australia and other areas of the world! 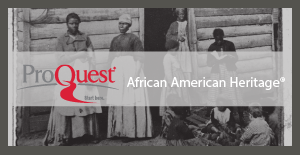 Census records, vital records, freedman and slave records, church records, legal records, U.S. Colored Troops Records (1861-1865), Black Genesis, and AfriGeneas are included. Titles from Genealogical Publishing Company are available in digital format for the first time ever. U.S. Federal Censuses (1790 -1940), Genealogy and local history books, Periodical Source Index (PERSI), Revolutionary War records Freedman’s Bank Records and U.S. Congressional Serial are included. To recommend free genealogy resources please click here to send an email. Berkeley County Library System’s South Carolina Room at the Moncks Corner Library.